No home can be totally immune to the threat of crime. But, prior planning and common sense precautions can significantly reduce the risk. Use this test to survey your home. Every "No" answer indicates a weakness that could help a criminal. As you eliminate the "No" answers, you reduce the risk that you will become a victim of crime. Go through the test carefully and systematically. Look over the situation at night as well as in the daytime. Remember, this test points out weaknesses in your personal security program. You cannot be adequately protected until these are corrected. Of course, there is no such thing as total security. Taking this test and following it's suggestions can't guarantee that you won't become a crime victim. It will however, greatly reduce your odds of becoming a victim by helping you take the reasonable precautions needed to deter all but the most determined criminals. Most crimes happen because someone gave a criminal an opportunity to act. Little planning goes into most burglaries. No neighborhood (rich or poor) is safe from crime. Professional burglars are very rare. Most burglars are neighborhood juveniles. Most burglars are never caught. Most stolen property is never recovered. Most home burglaries occur in the daytime. Most burglars enter through unlocked doors or windows. It takes less that two minutes for the average burglar to get into your home. If you can delay his entry for just three minutes, most burglars will give up and leave. Just the risk of being seen or heard will deter most burglars. If you shoot a burglar you may be arrested and/or sued. A cooperative program such as Neighborhood Watch is a strong deterrent to crime. Most burglars will not enter an occupied home. Do you consider security an important factor in family life? Is your family constantly aware of the risk of crime? Have you held a family meeting to discuss crime and the things that can be done to prevent it? Do you avoid telling strangers your daily routines? Have children been told not to discuss family business with strangers? Do you try to make your home look occupied, even when you are away. Do you stop all deliveries when you're away? Do you always leave a radio or TV on when you're away? Do you leave lights on and use timers when you're away? Do you avoid leaving notes for friends, services, etc. on your front door when you're away? Do you avoid displaying valuable items is plain sight? Do neighbors routinely look out for each other and report suspicious strangers to police? Have you become involved in your local police department's crime prevention program? Have you made your local officials aware of your feelings about crime in your community? When approached by solicitors, either in person or by telephone, do you verify that the charity or group they represent is legitimate before you contribute? Are all vulnerable points well lit at night? Is shrubbery trimmed away from all doors and windows? Is the yard neat and well cared for? If a fence would increase your protection, do you have one? Are all gates in good repair and properly locked? Are driveways, walkways and entrances brightly lit? Is shrubbery beside driveways, walkways and entrances trimmed to prevent attackers from hiding in wait? Is all security lighting protected by vandal-proof housings? If appropriate, do you use "thorny" shrubs and plants to deter access to your yard and vulnerable entry points? Have you trimmed all trees that could provide access to an upper window or the roof? Are all exterior doors of solid core construction? Are all doors equipped with good locks? Are all doors protected so that the locks cannot be reached and operated by breaking out glass panes or lightweight panels? Do exposed hinges have non-removable pins? If hinge pins are removable, are doors "pinned" to prevent removal? Is a good quality deadbolt lock with at leasts a 1" throw used on all exterior doors? Is the lock designed or the door frame constructed to prevent opening the door by spreading the frame? Is the bolt on all deadbolt locks made of case-hardened steel? Are all outside lock cylinders designed to prevent twisting or prying? Are all double doors equipped with deadbolts and flushbolts? Are all locks cylinder type with five pin tumblers? Are all keys accounted for? Are locks changed when a key is lost? When you move into a new home, do you automatically change the locks? Do you avoid giving keys to service people? Are garage and out building doors kept closed and locked when not in use? Are garage doors equipped with an automatic opener or secured with a hasp and padlock at each end? Are padlocks locked in place when not in use? Are hasps made of case hardened steel and equipped with non-removable screws? Are padlocks equipped with heel and toe locking, five pin tumbler and a minimum of a 9/32" shackle made of case hardened steel? Have you eliminated or secured all pet doors? Have you eliminated all outside "hidden keys"? Have you removed the key codes from the bottom of all padlocks? Have all sliding glass doors been equipped with a secondary lock to prevent them from being pried open or lifted out of the track? Is safety glass installed in all sliding glass doors? Have all sliding glass windows been equipped with a secondary lock to prevent them from being pried open or lifted out of the track? Do double hung windows have a secondary locking device? Have louvered windows been replaced or have the panes of glass been glued in place permanently? Are all accessible second story windows protected in the same manner as ground floor windows? Have you removed the cranks from casement windows? Have all unused windows been sealed shut permanently? Have you considered using a burglar resistant glazing in windows which are particularly vulnerable? Are window locks installed in such a way that a burglar must break the glass to reach them? Do you store small valuables in a safe deposit box at a bank? If valuables must be kept at home, are they stored in a safe or security closet? If a home safe is used, does it weigh more than 750 lbs.? If not, is it anchored in place so that it cannot be carried off? Do you know the difference between a fire safe and a money safe? Have you equipped an interior closet with reinforced interior walls, solid door, deadbolt lock and non-removable hinge pins for use in storing valuables? Do you limit cash on hand to small amounts? Do you have smoke detectors installed and fire extinguishers available ? Do you carry sufficient insurance to cover the loss of valuables? Where possible, have you engraved your driver's license number on valuable property? Have you avoided using secret, coded or hidden identification as the only method of marking valuable property? Have you avoided using identification marks which cannot be easily traced by police (Social Security numbers, initials, personal codes, etc.)? Have you made an inventory of your property, recorded descriptions and serial numbers and filed the information away in a safe, fireproof place? Have you made a photographic record of the entire contents of your home with emphasis on items that cannot be easily marked such as jewelry and art works? Do you have an unlisted telephone number? If you live alone, do you avoid advertising the fact? Do you require positive identification before you permit strangers to enter your home? If you are in doubt about a person's identification, do you verify it by contacting the organization they represent before admitting them? Do you supervise strangers who are legitimately in your home? Have you instructed children to avoid talking to strangers about your home, lifestyle, personal business, etc.? Have children be instructed to never go anywhere with a stranger or allow a stranger into the house when you are away? Do you and your children avoid giving out personal information or family schedules over the phone? If suspicious about callers or strangers at your door, do you call the police? Do you use a door viewer before you answer the door? Do you verify the honesty and dependability of domestic help and baby-sitters? Have you removed all identifying information (name, address, etc.) from your key ring? Do you avoid giving your house keys to along with your car keys when the car is parked or serviced? Have you instructed employers, co-workers and employees to avoid giving anyone information of any kind about you without your knowledge and permission? Are you especially cautious about bringing sensitive or valuable business information or work home with you? Have you considered getting a small dog with a loud bark to guard the house when you're away? Have you considered installing a burglar and fire alarm system? If you have decided to buy or lease and alarm system have you talked to you local police crime prevention officer and gotten at least three estimates from alarm companies? Do you really understand what type of alarm system you require and how it works, its limitations, how it will be monitored, etc? If, because of your employment or position in life, you or your family members face a high risk of kidnapping or personal violence, have you consulted a security specialist to develop a protection program? Remember, the Home Security Test is designed to point out possible weaknesses in your personal protection program and give you some ideas for correcting them. The Test does not, and is not intended to, address every possible crime threat. It is intended only to give you a place to start; to show you some of the more common security problems and solutions. It's up to you to take the information in the Test and build on it until you develop a personal protection program that fits the special needs of your home, family and lifestyle. If you have questions about crime prevention and personal security or need help with a specific security problem, contact a qualified security consultant and/or your local law enforcement agency. Robert A. Gardner, CPP is a licensed independent security and public safety consultant with offices in Santa Paula, CA, Las Vegas, NV and Scottsdale, AZ. 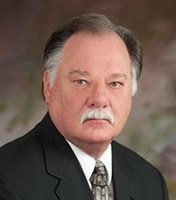 He is a former corporate security manager, law enforcement administrator, and police crime prevention specialist with more than 40 years of experience planning and managing security and crime prevention programs. He was an advisor on architectural/environmental security to "America's Safest City" and is a nationally recognized authority on Crime Prevention Through Environmental Design.